The guest-performance is supported by the Embassy of Israel. Can we look at NOTHINGNESS as a form, or matter? Can we capture it? How does the past meet the present, and how does “being a body”, in the here and now, bends everything to its own will, to its rebel, to its simplicity, to its quest to see and be seen, or simply – be? In the subtitle of his piece choreographer Uri Shafir quotes the famous American performance and conceptual artist of the 60`s Robert Barry. In his works is interested in asking what is really alive in live performance. What is happening in between the choreographed and the improvised? Between performing, and being? 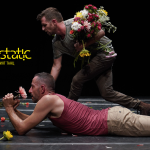 Uri Shafir is an emerging dance maker from Israel who has provoked the attention of the international scene. He is a dancer, choreographer and a performance artist. Graduate of MASPA (kibbutz Ga’aton dance workshop). As a dancer, worked in Ensemble Batsheva Dance Company, and collaborated with distinguished Israeli choreographers. Since 2009 he has been creating independent works and has presented them in different platforms such as Curtain Up, Hazira, Macholohet, (IL), L1DanceFest (HU), APAP (USA) Tanec Praha (CZ), Lucky Trimmer (DE), Dance Waves (CY) and more. 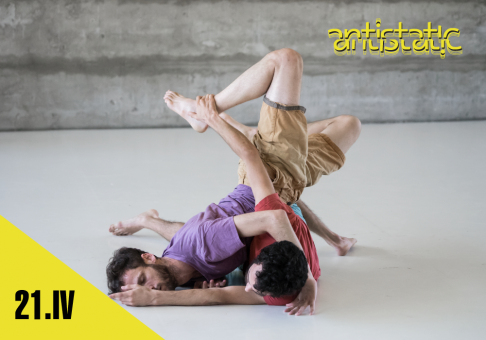 Uri Shafir is a currently in his MA studies in Choreography under the Master Exerce program in CCN-ICI & University of Montpellier, France. 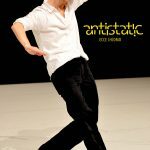 He is a Gaga teacher (Ohad Naharin’s movement language), leading Gaga classes/workshops across the world.